As I said yesterday, Birdie Brown is sponsoring this weeks Stamptacular Sunday Challenge. 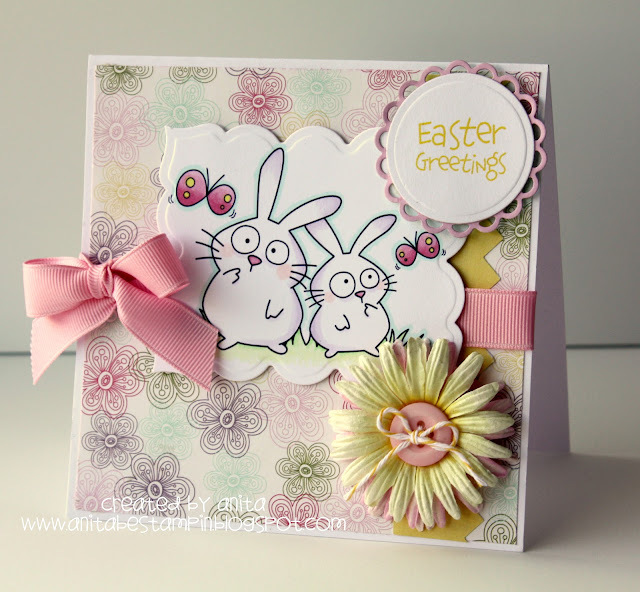 Anita, one of their DT members created an adorabel Easter card using Be My Friend. The Stamptacular Sunday Challenge DTs made gorgeous samples for the challenge, and some of them used Birdie Brown's images. Be sure to check out HERE!